What a place to stay! Extremely helpful and knowledgable staff. Great facilities. This is what a modern hostel should look like and be run. Well done to all those involved in the running of this hostel! Best hostel I have ever stayed at! The lobby is beautiful and is a great place to relax on the leather couches next to the wood stove. Kitchen, bathrooms, and bedrooms extremely clean. Overall a great experience and a very cozy hostel! I highly recommend! I haven't stayed in too many hostels before but this one blew me away. A massive, very clean kitchen with plenty of food storage, comfy bed, very calming beautiful mountain atmosphere, great lounge, local trail information available, and friendly people. Highly recommend in every aspect. Very friendly stuff, amazing location, high hostel standard. Very happy about it. Thank you! Lovely hostel, really clean everywhere with great facilities. Had a great time, and was a really friendly environment! The newly refurbished Youth Hostel was a delight to stay at. The hostel, the staff, the guests (from all over the world), were all top notch. 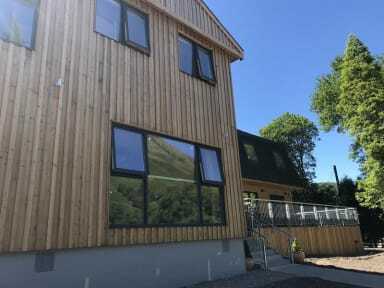 It would be great to see other Hostels follow the example of Glen Nevis Youth Hostel and I'm sure that, over time, this will be the case. The perfect venue for activities for all the family, all levels of fitness; a great place and environment to meet many nice people, young and older, from varying lands and cultures. The Hostel was very clean, the room was big enough. The bed was comfy, the sheets were fresh and clean. ALso the kitchen was super clean and great to cook your own meal. I'd definitely stay there again. 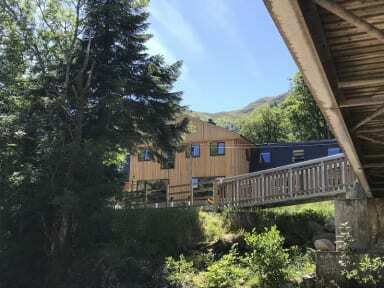 Great hostel in Glen Nevis. Beautiful location. The facilities here are great. Fully equipped large kitchen, nice seating area beside the fire, beds were comfortable, spotless shower rooms. The staff were very friendly and helpful. Would highly recommend this hostel.